If you hear a loud scratching sound or something running in the attic of your home this usually is one of the first signs that you have a squirrel problem. Squirrels can cause serious damage to both the interior and exterior of your home. 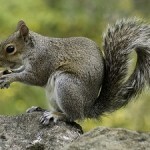 Once squirrels are inside homes, they can cause damage in attics by chewing wires, ripping up insulation and defecating in the attic. They can also cause gnaw damage when they are searching for food and nesting sites. The most commonly found species of tree squirrels are the gray squirrel, the red squirrel, the flying squirrel and the fox squirrel. They can live for up to ten to fifteen years, but the average squirrel lifespan is between five and six years. When an Absolut Pest Control exterminator visits your home, you can be sure that we will inspect every inch, from top to bottom, to find squirrels. As we discover families of squirrels, we trap and release them all together in an environment in which they’ll prosper. 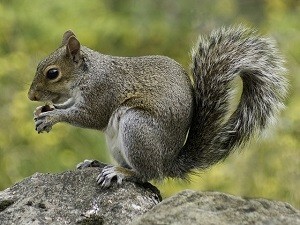 Contact us today at 978.388.4589 or fill out our contact form to get rid of your squirrel problem!